Lordship Salvation Defined: Lordship “Salvation” Equals Lordship Probation!! Salvation or probation? Which of these two does God’s Word promise to everyone who places their faith in Jesus Christ alone?? Salvation!! Yet according to Lordship “faith” proponents, they twist words to appear right and then it becomes Probation! I find no Lordship Probation folks who offer God’s Free Grace through faith alone in Christ alone — without a hitch, a misunderstanding of Grace — there is always a hitch. These are edited excerpts from an email of an avid MacArthur/Lordship Probation aficionado. [The believer] By receiving the imputed righteousness of Christ, while He satisfies the wrath we deserve–He receives our demerit and we receive His merit. Lordship salvation is, simply, biblical salvation: […] if we receive Christ through faith, we will either walk in holiness and increase in our likeness to Christ (which was God’s plan before the foundation of the world, to conform us to the image of His Son), or show ourselves to not be regenerate. [If] one would claim Christ as Savior, they MUST (my emphasis. JW) also submit to Him as Lord and actively seek, by the power of the Spirit, to rid their lives of the sins they once walked in. Thank God there are men like John MacArthur who are challenging the absurd notion that God’s grace doesn’t demand our obedience. … I pray that God would stir in the hearts of everyone who would call upon the name of the Lord, that they would turn from their sins and live, not be lulled into complacency by the promises of false teachers who suggest that God’s grace will cover those who don’t actually follow Him. A gift is NOT a gift if it has strings attached.. ie Santa will bring you a gift IF you are a good little boy. or “IF you sign up 10 subscribers to Sword of the Lord, we will send you a FREE gift, a camera. (I actually questioned this gimmick many years ago). These are not GIFTS but rewards for work done. BIG difference. God’s grace is not dispensed apart from an instruction that REQUIRES both understanding and obedience. Through God’s grace, the gift of eternal life is given to those who demonstrate their faith in God by their obedience and repentance. This entry was posted in Bible, Calvinism, Christian, Christianity, Danger, Faith, Free Grace, Grace, John MacArthur, Lordship Salvation, Salvation. Bookmark the permalink. You know, looking back on this article, and seeing then that Jack’s internet search turned up 15 million results and 5-1/2 years later, my searched turned up 37,100,000 results, is astounding! It just shows us the lightning fast way we’ve descended into apostasy. These who have a case of touch-not-mine-anointed-itis don’t even begin to question the popularity of their anointed, it doesn’t occur to them that his best-sellers and huge attendance and multitude of books, appearances on television, etc. should maybe give them a little cause to pause? The world doesn’t love us, but John MacArthur is well loved. And don’t dare consider contrasting his sermon to Scripture, for even if you do the whole sermon transcript, you have ‘taken his words out of context’. What a pleasure to have you comment here. Many of our commenters refer to your writings and web site quite often. Your analysis is exactly right.. We have written many articles opposing the false doctrines of MacArthur, Chan, Piper, Warren et al… They all eviscerate the Grace Gospel until it is no longer The Gospel but another..
We pray you will subscribe, visit and comment with us regularly. Sorry. Grace is NOT some mystical substance which God ‘infuses into our soul’ to change your life. This is 12th Century Roman Catholic Theology. Grace, when infused: empowers us to i) detest our sins, ii) turn from our sins, iii) believe on Christ, iv) do meritorious works by which we earn salvation through works of grace, and v) persevere in faith and good works. (a-la-Thomas Aquinas). This is not the BIBLICAL definition of grace. It is not the LEXICAL definition of grace from an analysis of the field of meaning of this Greek word in extant Greek literature. This is a PERVERSION of the word grace, unknown in Greek literature, and unknown in the Bible. Biblically speaking, there are five elements of Grace: 1) The “Res” (the “thing” being given, e.g. a piano, forgiveness of a debt, water skiing lessons, etc), 2) the giver, 3) the free will of the giver to bestow the Res without cost on the recipient, 4) the recipient, and 5) the “mirroring of the mind of the recipient,” that is, the willingness of the recipient to receive the gift the same way as it is offered . . . freely. (Interestingly, FREE WILL therefore becomes an inherent element of GRACE . . . a serious problem with the MacArthurites). Please forgive my tone, which is a little “austere,” but I’ve had it with the circular reasoning of the Gratsia-Infusa Crowd. It is not only unbiblical. It is simply cult-like reasoning . . . like a charismatic redefining the term “in the spirit” to mean “talking in tongues” (which is itself redefined away from the Biblical meaning of the term, and into ecstatic babbling). And then the cult-like charismatics have a self-referential system which reaffirms their presuppositions every where they look. This is MacArthurism. Or Piperism. Or Lordship Salvation. Call it what you will. Let’s face it. If this were no so entrenched in “respectable” corners of “evangelicalism”, it would be classed as a cult. Let’s start calling a spade a spade. It seems like the Bible is full of unsavory characters, but the Lord used them despite of themselves. The place where they went wrong is that they were trusting in their own WORKS to get from A to B, when they should have waited on the Lord to move them from A to B. So like human nature to rely on our own merits instead of trusting in our Savior to complete His work in us. Yes Jimmy—all these men would not have made the Lordship Salvation list. Let’s add some other characters: Abraham (who lied about his wife and also slept with Sarah’s maid) believed by faith and was CREDITED righteousness because of his faith; Jacob (who did numerous ill deeds—adultery, lied, deceived, etc.) was named Israel and the father of God’s nation; Solomon (went astray) the wisest man ever in history and wrote Proverbs and Ecclesiastes; Jonah (disobeyed God) a prophet of God’s. I guess we could go on. VERY cogent comments — and as such pose a real dilemma for those (such as AC) who hold to the false Lordship Probation belief. If he will be honest with himself and the Lord, he must question his own eternal security. AC, as John has so eloquently pleaded above, (if you are still even reading the web site) please trust Jesus Christ alone as your all encompassing Savior — not your false Lordship Probation. 1. Was David submitted to Christ’s Lordship when he, David, committed adultery with Bathsheba and sent Uriah into battle with the purpose of having him killed? 2. Was Peter submitted to Christ’s Lordship when he, Peter, denied Christ on three occassions, then later momentarily quit the ministry (John 21:3) ? 3. Was Lot EVER submitted to Christ’s Lordship? One looks in vain to find anything in this man’s life that reflected surrender to Christ’s Lordship. And yet, II Peter 2:7-8 informs us that Lot was a saved man. If total surrender to Christ is a prerequisite for salvation, or evidence of salvation, then the above three men (and every single professing believer– living and dead) were never saved–which includes you and me. AC, are you willing to follow Lordship Salvation to this, its necessarily logical conclusion? You hit the ball right outta the park on this one, Jack! Lordship Probation indeed! This is staggering, but not a complete surprise. It ties in with John’s request that Australian Christian define repentance, which I believe is the most misunderstood, abused word in scripture. As long as a person’s motivation is called into question, can there ever really be assurance of salvation? No wonder countless, fearful people are re-committing their lives to Jesus 20, 30, up to 50 times or more during their troubled walk. All religion is cruel and heartbreaking. It’s really quite simple, isn’t it? Luke, your input is so true. Very well said. Luke, I have to agree with you on this. The more we focus on sin, the more sin becomes focused on us. We tend to put the emphasis on ourselves instead of putting our eyes on Jesus and His work to be able to keep us and preserve us. It is really pride, because we are either acting in self-deprecation or puffing up like a peacock. Is Christ not able to save and keep us saved? Was Christ’s death on the cross in vain? No! His blood was not shed, so that we would continually have to attain or keep our salvation by working for it. It was done- finished! All the thief on the cross did was express his belief in Christ and then saw Christ that day in Paradise. Jesus could have saved the thief’s life, like the other thief wanted Christ to do, so that the thief could have done good works to PROVE his salvation. This was not done and the thief died, but the thief saw Jesus in His full glory because he chose to believe. This is the reason Jesus Christ died – to save us from our WORKS. Interesting tidbit for AC – since I quit believing the Lordship Submission lie, and constantly “seeking” sanctification (since I already have it according to Hebrews), I sin less. I have found that under grace, focusing less on sin makes me sin less. Not weird when you consider that is what the Bible says – we should have no conscience of sins – don’t think about it – it is done away with! For then would they not have ceased to be offered? because that the worshippers once purged should have had no more conscience of sins. (Hebrews 10:2) – The context is about animal sacrifices, and how if there was a perfect sacrifice, the Israelites would never have to worry about sin again. We have a perfect sacrifice that has done away with sin once for all! And that power of complete forgiveness works without my effort, without my constant “repentance” (ie, tears over how wicked I am or whatever – God says that in Christ, I am not wicked anymore, but righteous in Him). AC, how do you define “repent”? When I was lost in the lie of Lordship “salvation”, I used to equate salvation with cessation of sin. Stopping sinning, or bearing other fruits, is certainly desirable. But, it is not the issue in whether or not someone is saved. Even if we could become sinless in this life, there is no guarantee that we would stay that way. 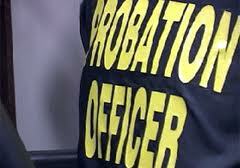 Hence, the probation theme. Jesus is not only necessary for salvation. He is enough! Please trust in Christ and Christ alone for salvation. A.C.: Our salvation and resulting assurance of faith must come by grace alone through faith alone in Christ alone (Ephesians 2:8-9). Faithful service to God is the right a proper result of true faith in Christ alone—we SHOULD DO IT—Ephesians 2:10. But it has nothing to do with getting us saved or keeping us saved. And our salvation is 100% guaranteed by God—we have complete assurance of faith in Christ because he does the saving and he does the keeping—John 10:27-30. Thanks for your detailed and discerning comments..
To live a miserable life of Lordship Probation must be unbearable. Bruce, great points! I would venture to say that, for Chan, the definition of lukewarm would be at least one degree cooler than Chan. Also, Jack has a number of good articles on this site about Francis Chan and his unbiblical teaching. John Macarthur is spot on in this regard. I believe you are misrepresenting things in your post since he is not claiming that it is the works or changed life that saves you. It is only God’s grace. However the Bible is clear that if someone is truly saved there will be a change in their life and they will make Jesus Lord over their life and seek to be sanctified. If our fruit shows no change in our life then that is a good sign that we are not saved. It’s not the fruit that saves us but it is evidence of us being saved. If we truly repent and come to faith in Christ we will begin to hate sin and be repulsed by it. If someone is happy to go on sinning so that grace may abound then they have no understanding of the Bible and no real faith in Christ. Lordship probation completely annihilates any and all assurance of salvation. What is left for the Lordship Faith follower but a life of doubt, fear and misery—no joy of the Lord to be found there! Even probation imposed by the criminal courts is generally brief (typically one to three years) and is connected by specific duties which must be performed by the released inmate, such as performing community service, attending AA meetings, going to school, or the like. So even the secular courts and judges detail specific time limits and performance mandates to complete probation. After these duties and time frames are all completed, the probationary released prisoner is completely set free to live life without further demands or restrictions. 1. There is no set time limit to the Lordship Faith probationary period, other than the time limit set by one’s death. One must serve God faithfully and continuously for a lifetime, without any extended periods of backsliding or non-service; otherwise, the person could be in danger of never having been saved to begin with. 2. Lordship Faith Probationary standards of service are high and unattainable, AND there are NO PRECISE GUIDELINES for determining if and when the standards are met. Must one serve God faithfully for one year, for twenty years, for forty years? How does one define “faithful?” Does faithful mean attending church weekly? Does it mean tithing regularly? Does it mean teaching Sunday School? Who sets the standards for faithfulness? Anyone who fails to meet the stringent demands of these elusive unspecified standards is considered in extreme danger of never having been saved in the first place. Francis Chan, for example, in his best-selling book, “Crazy Love,” concocts his own artificial list of what he calls “the lukewarm.” Of course, most Christians that I know or have met would never come close to meeting the unrealistic expectations that Chan devises; most, including myself, would, at least at some point in our Christian lives, be listed on Chan’s lukewarm list. Probably, even the Apostle Paul, himself, would not consider himself to have passed Chan’s “superchristian” test. So where does Lordship Faith probation leave the average Christian? —Foundering in rough seas of hopelessness and doubt. —Completely unable to ever grab hold of true assurance of salvation by grace alone through faith alone in Christ alone. —Completely lacking the true sense of joy that Christ intended for believers to possess through the confident faith that they should have in him alone. Salvation is by God’s Grace, through faith – not of works. Adding works to the back end of salvation (which is what Lordship “salvation” is all about) simply means that one has replaced Biblical Hope with his own good intentions. The reason Lordship “salvation” is so popular, is because it feeds on the sin of pride (as Tom Cucuzza noted in an earlier thread). My son said he ran across an LS site for teens that said that a real Christian would never use profanity. Think about how absurd this is. If someone who is not saved is using profanity, he cannot be saved by stopping it. If he could, he would be able to atone for his own sins. If someone who is saved is using profanity, he cannot be unsaved by continuing in it. If he could, then Christ’s atonement was not complete. So, LS is a denial not only of the doctrine of Grace, but also a denial of the atonement. Therefore, it is a rejection of the Gospel.